Harbinger Winery of Port Angeles is proud to pair their award-winning wines with the raw, handmade, artis an cheeses of Chimacum Valley Dairy as well as a handful of other gourmet internationally recognized cheeses. Chimacum Valley Dairy cheeses capture the spirit of the land and a sense of place (winemakers call this “terroir”) by hand using traditional methods tailored for farmstead cheese production. Small batches are produced throughout the season from locally grown milk (their own herd as well as Dungeness Valley Creamery) and aged in a climate-controlled environment anywhere from 2 months to 2 years, where they develop a natural, edible rind and deep, complex, earthy flavors. One could say almost the same thing of how the wines of Harbinger are produced…minus the rind of course! 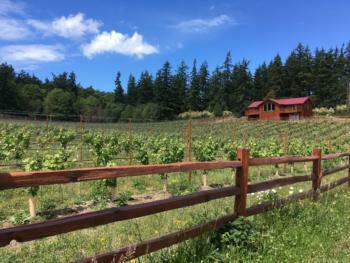 Camaraderie Cellars: visits some of our favorite things for the annual Wine, Cider & Cheese Tour, Willapa Hills Creamery cheeses made near Chehalis, Uli cheddar bratwurst made in Seattle, and award winning wines that we make right here! We will pour some outstanding award winners such as Tempranillo and Reserve Cabernet Sauvignon and some local favorites as well. Our favorite season, Spring, is busting out all over our gardens. And our new Ridge Room is complete and ready for your visit. Special event discounts will help fill your cellar! Olympic Cellars: We are celebrating some big wins! Our 2014 Syrah won a Gold Medal at the 2018 San Francisco Chronicle Competition. We also won Gold and Best of Columbia Valley at the 2018 Toast of the Coast Competition in Del Mar. Our 2015 Dungeness Red Lemberger won a Silver Medal at the San Francisco Chronicle Competition. It also won Double Gold, Best of Horse Heaven Hills and Best Lemberger in Show at the Toast of the Coast Competition in Del Mar. You will have the opportunity to sample both the Syrah and the Dungeness Red. At Olympic Cellars, you choose the 5 wines you sample from the 10 we will have available. The tour will be an excellent opportunity to take advantage of our 20% discount off 4 bottles, mix and match sale. We will feature lovely, small batch, all-natural cheeses from Golden Glen Creamery. Expect their traditional flavored cheddars and yummy cheese curds. If you like to sip and shop, we are introducing a new artist to the Olympic Cellars’ gift shop. Donna Taylor Mayo will be on hand to discuss her beautiful, recycled -glass pieces. 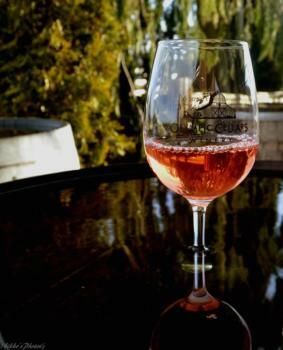 Wind Rose Cellars will be pouring some of our special award-winning wines paired with the cheeses from Black Sheep Creamery. For this event, we also will release our new 2017 Rosato (dry rose wine). Friday and Saturday night, we will be hosting live music from 7-9pm. Friday we will have night the “Tony Flaggs Band”, a local rock band that also plays a mixture of country, rock and a little bluegrass. Saturday night, we’ll host the “Mike Klinger B3 Organ Band” a local jazz group that performs a mixture of jazz and blues mixed with a little funk. Our bistro menu features small plates and local treats., two rotating beer taps, cider as well as kombucha on draft. Eaglemount Winery/Cidery will be featuring Crimson Cove smoked cheese and have new releases for people to sample. Marrowstone Vineyards: will be releasing many wonderful wines including, a new line up of amazing white wines one of which is our 2017 Viognier, a crowd favorite, we will be pouring it during the festival. These white wines will quench your thirst, with huge flavors, nice balanced acidity, a perfect pairing with cheese, as well as a great compliment to our local cuisine. We also have a impressive array of red wines to tempt the palate, including our new 2016 Malbec, flavors of dark cherry, italian plums, hints of vanilla and chocolate. Our other red wine varietals available will be 2015 Cabernet-Franc, 2015 Cabernet Sauvignon, the high altitude grown, late ripening, full of dark rich flavors, and complexities, our new 2016 Syrah. This year we have cheese from two different creameries. Mystery Bay Farm will be joining us again this year. They are a small scale family operation producing artisan che’vre a mile down the road from our winery. Their new flavors of che’vre this year are sure to be a huge hit paired with the wines we have selected. The other creamery we’ve invited to join us, is Golden Glen Creamery. 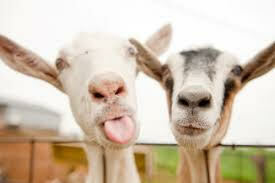 Golden Glen Creamery produces all natural, handcrafted cheeses out of Bow, Wa. The cheese they produce has a distinctive, amazing taste that can’t be replicated by other cheese making methods, making it very unique. We will be pairing each cheese we have selected with our wines individually. Finnriver Farm Orchard & Cider Garden: in Chimacum to taste life on the land and enjoy the signs of Spring on the farm— young lambs, nesting geese and new buds on the apple trees! We are pleased to welcome our friends and neighbors from Mt. 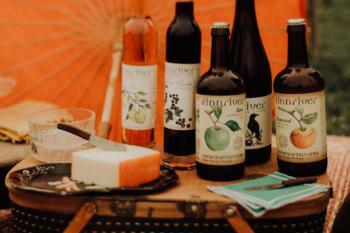 Townsend Creamery, to showcase the beauty of cider and cheese pairings. Finnriver will feature our spring botanical cider, Honey Meadow, and our newly released 2018 homegrown Fire Barrel Cider and Orchard Perry. Award-wining local creamery, Mt. Townsend, will present several soft-ripened and hard cheeses to enjoy, such as Cirrus, Seasick and Off Kilter. And we will continue our annual tradition of Pane d’Amore’s delectable cheesy breadsticks. We serve local brats and crepes on weekends evenings and Hama Hama oysters will be serving on Saturday evening 5-8 and Sunday afternoon 2-5pm. We host live music on Saturday nights and Sunday afternoons too.